Berlin was chosen to host the next Games at the International Olympic Committee’s 1912 meeting in Stockholm. Of course, the 1916 Games were never held — though I wonder at what point they were cancelled. The war was supposed to be over by Christmas 1914, remember, and presumably all would have been forgiven by the summer of ’16. That seems even less likely than the Christmas scheme. But the stadium was built in Berlin all the same. According to a New York Times report, its dedication was held June 8, 1913. The Kaiser was there, along with 60,000 other people — half in the stands, half on the field parading and demonstrating athletics or some sort or other. It must have been a wonderful day. Organizers released 10,000 pigeons or, as we might think of them now, doves of peace. 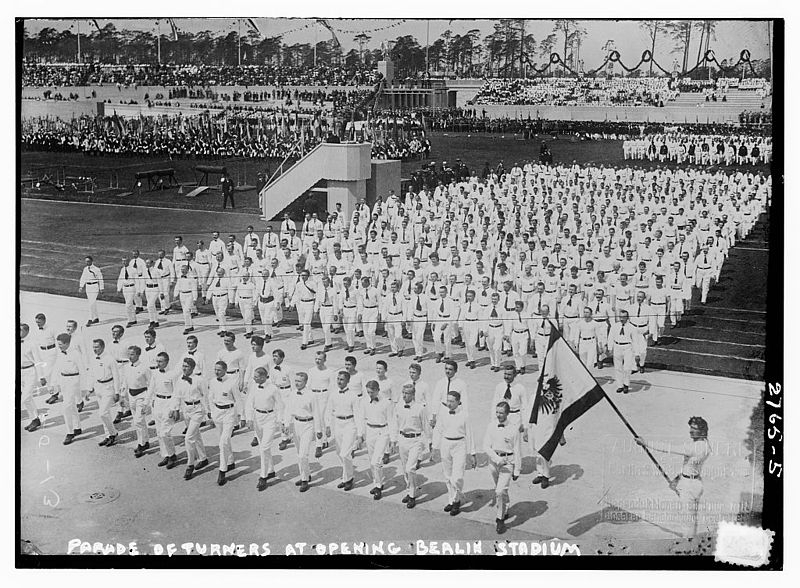 Dedication ceremony at the stadium in Berlin built for the Games of the VI Olympiad. Bravo, bravo, bravo, bravo, bravo! The Athlete of the 1920 Games was Nedo Nadi of Italy, who swept the gold medals in the five fencing events, a feat still unequalled. Until swimmer Mark Spitz came along in 1972 and won seven, Nadi held the record as the athlete to win the most gold medals at any Olympics. 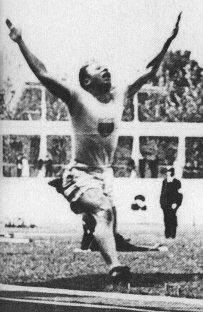 Nadi’s younger brother Aldo won four medals at the 1920 Games. He shared three team golds and won the silver, behind Nedo, in the sabre competition. The Nadi brothers and others benefited from Hungary being banned from the Games, because the Hungarian fencing team traditionally was a strong competitor. The Nadis turned pro after the Olympics. 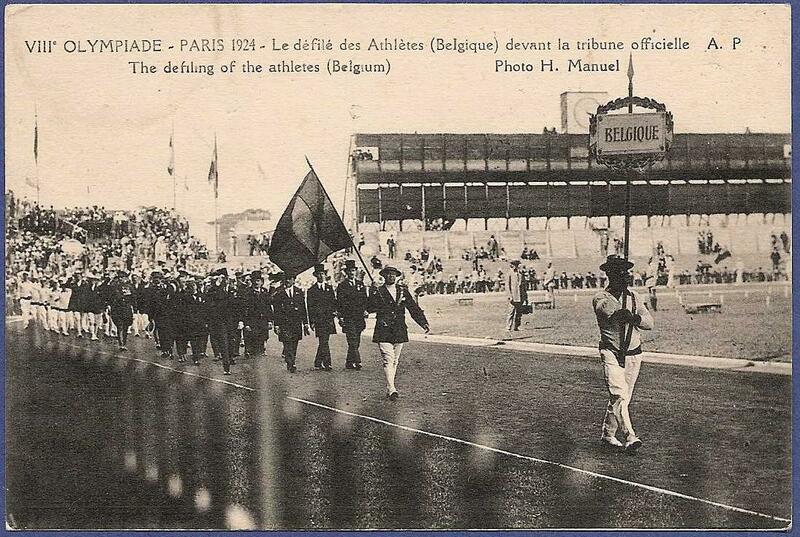 The 1920 Olympics, less than two years after the Armistice, were held in Antwerp, to honor Belgium as the country that had suffered the most devastation during the war. (I would have argued for France.) Countries have to put a lot of money into hosting the Games, so maybe this honor was also a burden. Of course, Germany, Austria, Hungary, Bulgaria and Turkey were banned from competing. The opening ceremonies included the first use of the Olympic flag, the first time reciting of the Olympic oath and the first release of doves as a symbol of peace. 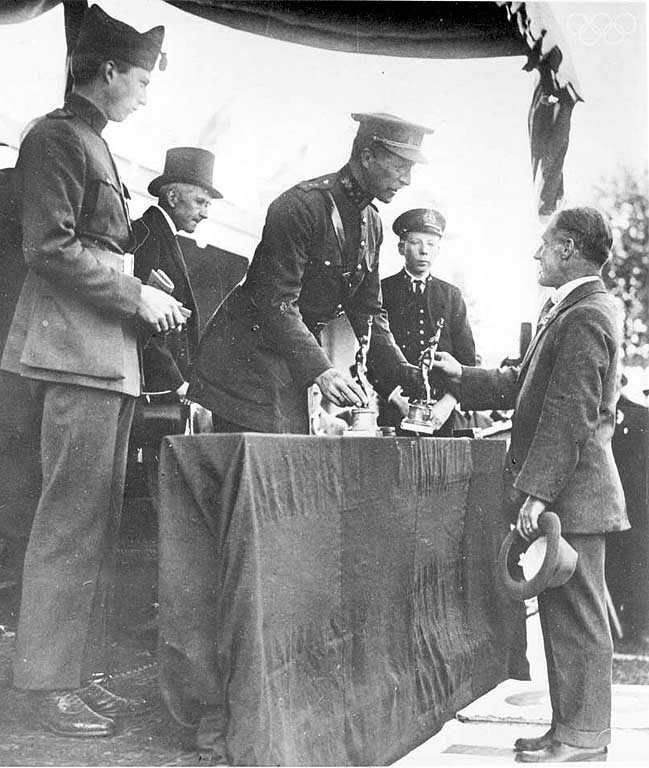 Army Lieutenant Charles Paddock gained his first public acclaim as a speed runner at the Inter-Allied Games in 1919. He won the 100 and 200 meter sprints and set the world record at the Games in the 200 meters. A trademark move of Paddocks was the “flying finish” where he would leap about twelve feet from the finish line and break the tape while in the air. After WWI, Paddock went on to lasting fame in the 1920 and 1924 Olympics. It is generally acknowledged that the term “World’s Fastest Human” was coined for Paddock when he set five world records in 1921. As of this writing, host country the UK had won three Olympic medals, one silver (cyclist Lizzie Armistead) and two bronze (the men’s gymnastic team and swimmer Becky Adlington in the 400 meter freestyle). The U.S. has 17, a tie with China. Britain’s most noted Olympian for those of us interested in the First World War, was Lieutenant General Sir Philip Neame (VC, KBE, CB, DSO, Chevalier Legion d’Honneur, Croix de Guerre). Neame won a gold medal at the Paris 1924 Olympics — the only VC ever to have won Olympic gold. Neame was part of the four-man team that beat Norway and Sweden in the running deer team competition. My fellow Americans, this was not a running event. Nor were any actual deer involved. It was a shooting competition. Captain Noel Chavasse (VC and bar, MC) RAMC, who represented Great Britain in the 400 metres at the London 1908 Olympics. Noel and his brother Christopher also competed in the 4 x 400 metre relay at the games. Noel Chavasse died of wounds near Ypres in August 1917. 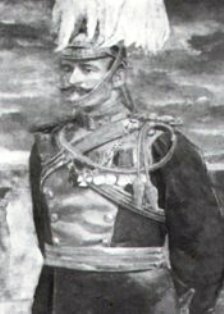 Brigadier General Paul Aloysius Kenna (VC, DSO), awarded the VC for his actions in Sudan in 1898. He was selected to lead the GB Show-jumping Team at the Stockholm 1912 Olympics. Kenna was killed at Gallipoli on 30 August 1915 and is buried in Lala Baba Cemetery. He was 53.